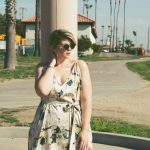 California based plus size designer, Elann Zelie has released her latest spring capsule collection from Zelie for She, “California Dreaming” and we are sharing the look book, our faves, and why you should get to know this designer! Are you looking for something that speaks to the wanderlust bohemian in you? 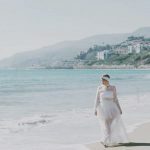 If you have been following the Curvy Fashionista for a while, then you know three things: I am a boho-luxe fiend; I love supporting fellow bloggers turned business owners; and I love to share new plus size fashion finds with you! 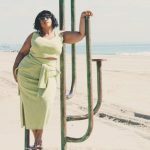 So, when I saw that California based plus size designer, Elann Zelie released her latest collection with Zelie for She, I knew that I had to share t with you! I mean, who doesn’t imagine perusing the beach, in sunny California, while rocking easy breezy fancy fashion? I do miss the beaches. I do. As a California native now living in Atlanta, this “California Dreaming” collection speaks to my soul, inspiring a trip back home, to hang out with my family up near the coast in Ventura! But enough of me talking, let me share with you what Zelie for She has in store for us! Cant you already feel the sand in between your toes? I need this green set. All three pieces. Maybe even this white sheer two piece. For vacation. For life. For relaxation. Are you familiar with Zelie for She? 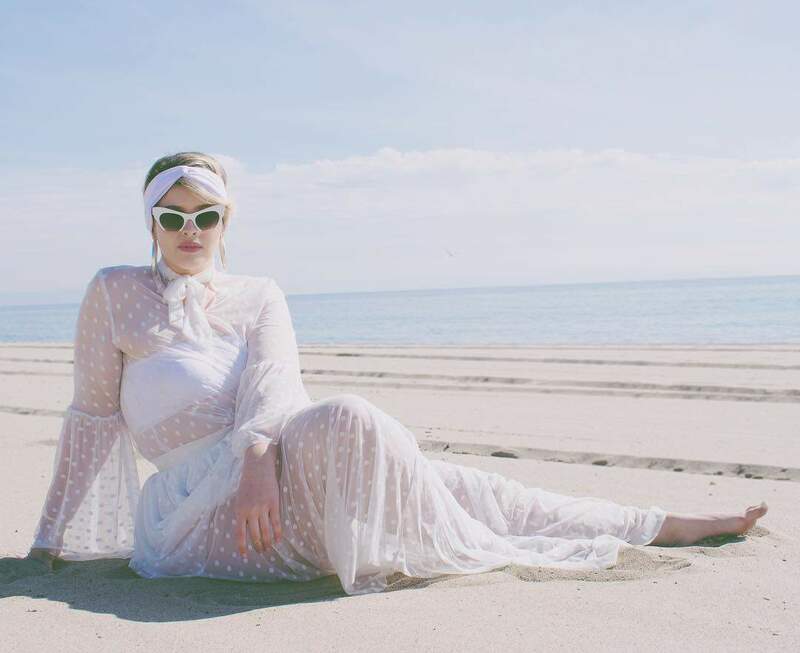 Zelie for She is a plus size designer brand with bohemian, travel inspired, trend setting fashions. Designed in Los Angeles California by designer Elann Zelie, these one of a kind designs are made with quality & care. All designs are made in a limited quantity, making these designs that much more special! You know what I love even more about Zelie for She? Her prices aren’t crazy, the pieces are truly limited, so you can always whip out the collection and no one else is rocking your look, and they are truly timeless! Shop this collection now, at ZelieforShe.com! I have a few pieces from Zelie for She… I have this black fitted maxi skirt with matching crop top, that gets soooo much wear from me. Ohhhh and I also have this tan three piece that I scored from NikkiFree and let me tell you… this set will totally be reworked more than a few times! Ohhh and if you are curious, yes, Zelie for She ships internationally. Soooooooooo, do you see anything you like? That you can see yourself in? That you have to make yours for the spring into summer style? Let’s discuss and talk all about it! I want to know what you think! OMG! Did You See? Simply Be Has a New Look Exclusive to the US! Cool News! 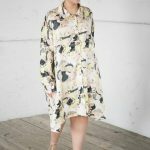 Draper James Launches a Capsule Collection with Eloquii! I have never heard of this brand before! I definitely want 3&4 though! Thanks for sharing this- you have increased my fashion knowledge. I just adore Elann Zelie and the Zelie for She Collection! 20 of the Prettiest of Spring’s Plus Size Dresses to Kick off Your Spring Style!